A multitude of perspectives could be opened up—all attempting to avoid a disciplining will to knowledge. Could a novel concept of aesthetics reveal different forms of interests in and processes of artistic thinking? Could experimental aesthetics as an undisciplinary methodology distinctive from a theoretical and academic philosophy be in the forefront of artistic practices? Could the concept of aesthetics have the power to reframe the concept of artistic research? To answer the above questions Hongjohn Lin and Henk Slager developed an experimental and dynamic format. On the ground floor of the Taipei Fine Arts Museum (Gallery D) they organized a workshop environment that will continually be redesigned and discussed by the participating artists. The starting point is a so-called zero degree situation in which a number of works will be exhibited that, according to the curators, offer a clear contribution to the debate on the position and situation of the concept of aesthetics. 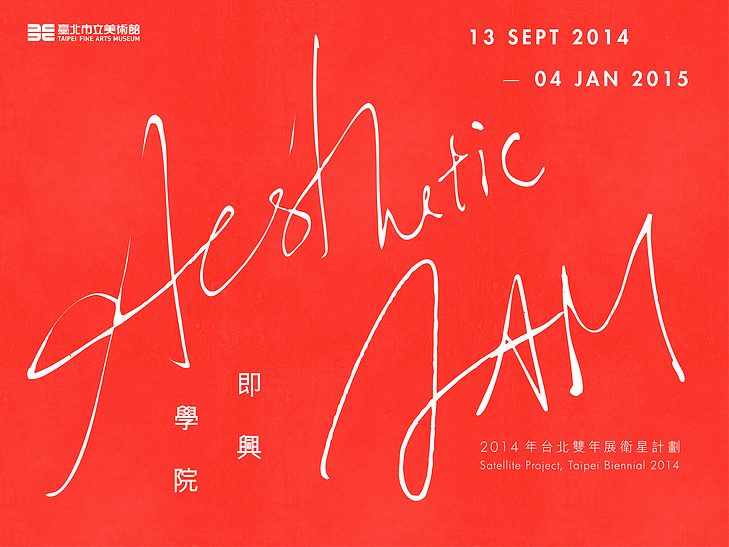 After the opening, five artists will produce new work in the exhibition space for a period of three weeks. The production of these works will be facilitated by the TFAM (Taipei Fine Arts Museum) and TNUA (Taipei National University of the Arts). During the work process, the five artists will engage in the realization of a new display system based on their produced works plus a selection of works from the zero degree composition. Prior to the opening of the exhibition, a public seminar will take place at which the participating artists will further discuss their works and the group presentation. This presentation will then be displayed for two weeks. Afterwards, a second and a third group of five artists will go through a similar process. At the opening of the third group’s presentation (December 13) the entire process will be evaluated and a publication will be launched.